In this small press, limited-edition novelette by Christopher Slatsky, Irepani is a formerly homeless alcoholic who is on the road to recovery thanks to a caring relative. However, he feels the need to get away on sort of a solitary retreat from the city and goes to an abandoned fire lookout station that his street-wise friends told him about in an urban legend sounding way. The lookout is indeed abandoned but it is also near the ruins of a space observatory and a revoltingly strange shrine. Irepani’s isolated retreat quickly becomes a strange out-of-this-world nightmare. Frankly, I’m not sure I have come across a short piece of fiction that packed such a combination of emotional and mystical response in quite a while. Slatsky gets right down to forming the character of Irepani and in a few short pages we have a sympathetic man, and his dog, who could have easily become a caricature. The author inserts alternating segments that gives us a glimpse into an odd scientific experiment that may be going on simultaneously. 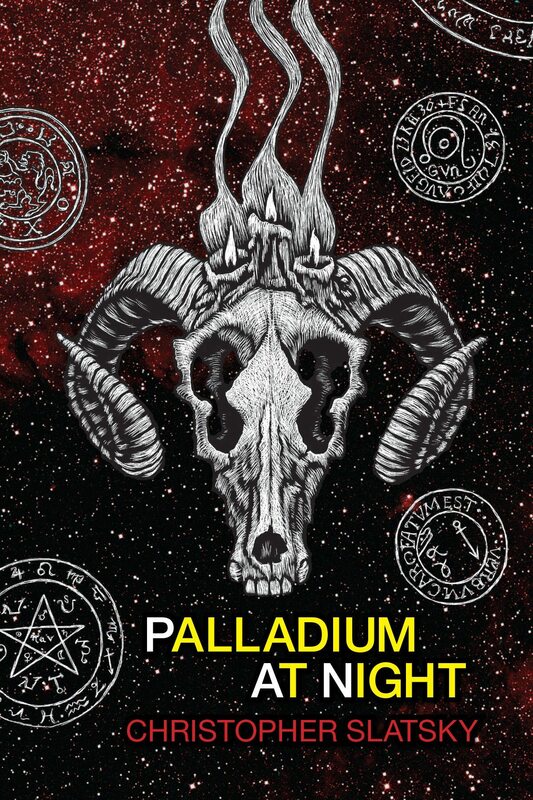 Simply put, Palladium at Night is a miniature masterpiece. We are pulled into the story while the strangeness of the encounter between Irepani and his environment engulfs us subtly if not slowly. The style and theme is reminiscent of the Lovecraftian Circle writers via a Clark Ashton Smith of the 21st century. The ending has a nice twist and it is ultimately a terrifying one. Novelettes in the 40- and 50-page length are hard to get right. In inexperienced hands they tend to suffer from too much filler or not enough body. Slatsky gets this and executes his tale almost perfectly. It’s a tight mix of intimate terror and cosmic horror. I believe we are looking at one of the best works of short fiction this year and that may be important to note come award season. At any shot, Slatsky and his sweetly terrifying novelette could use some more love and attention from the horror fans. They don’t yet know what they are missing.